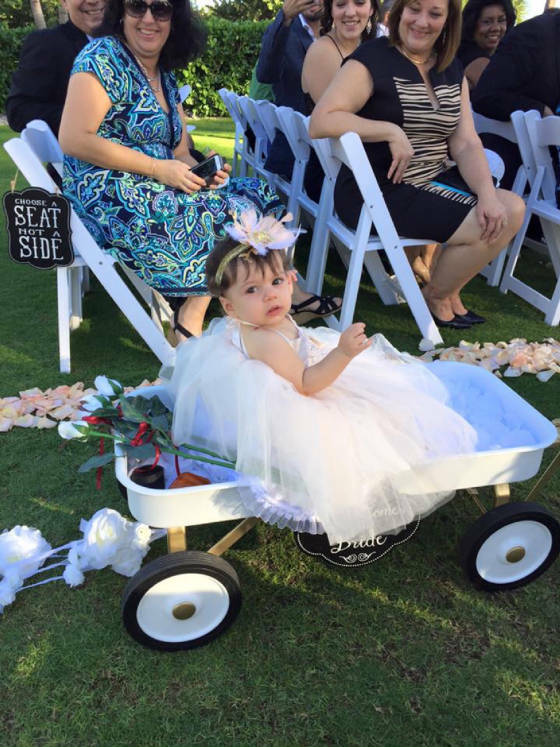 Cutest little Flower Girl Wagon available for rent for your wedding day. Please Note: Only Available for Rent in Dade, Broward, Collier and Lee counties of Florida. Starting at $50.00 Rental fee for 24 hours, delivery and pick up at your wedding location in places above mentioned is included. Additonal $100 cash security deposit is required. Full Security deposit will be returned when item is picked up in good condition. Email us for more info here! 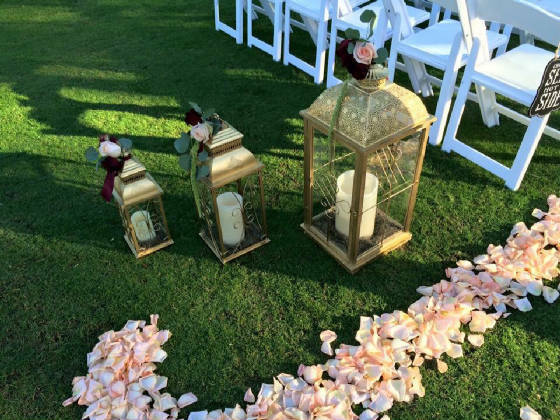 Gorgeous gold wedding lanterns for your ceremony's bridal aisle decorations. Only these 3 sizes available. only have 2 of each, only in gold! Flowers NOT INCLUDED. 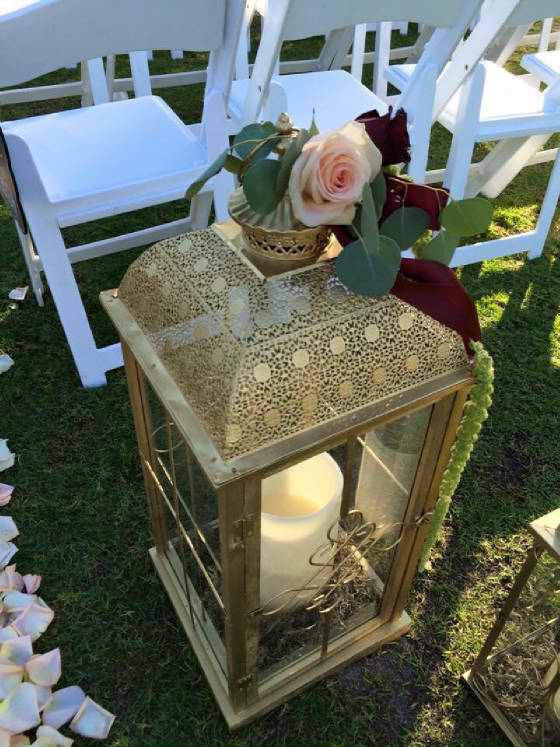 Delivered to ceremony location only and picked up. Wedding day rental is for 24 hours. Rentals begin at $75.00 for one set of three lamps in the 3 assorted sizes. A $100.00 Cash Security Required, to be returned when lanterns are picked up by us. Price may vary depending on county location.